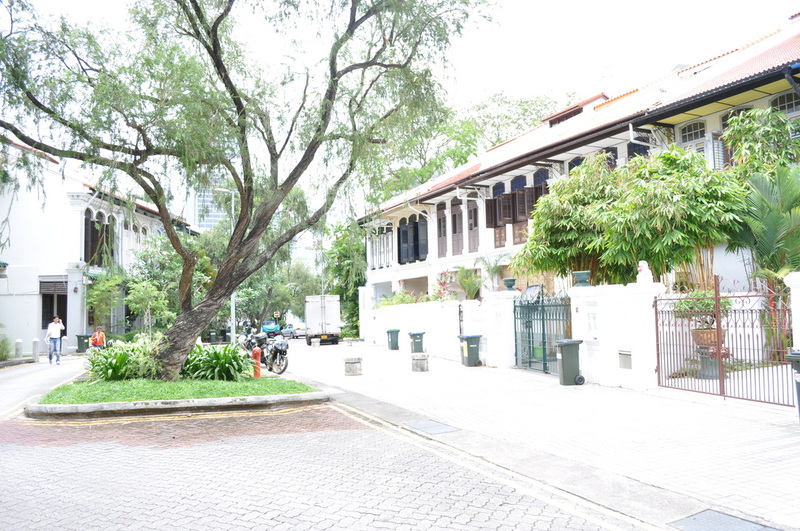 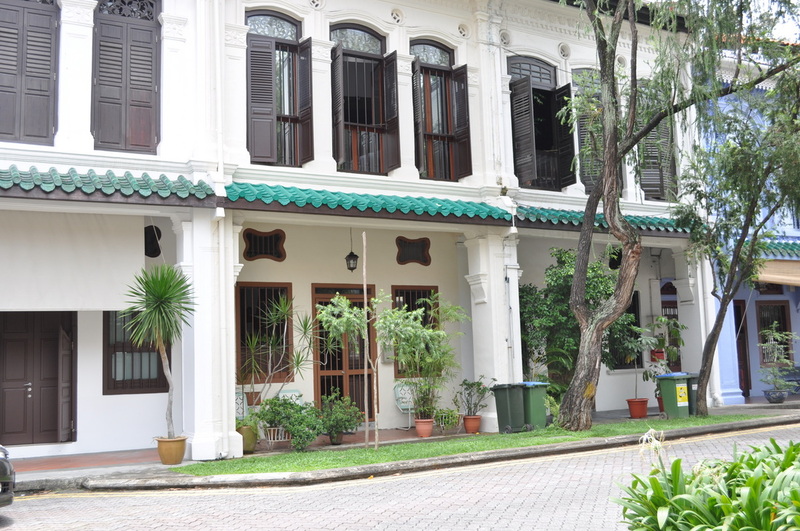 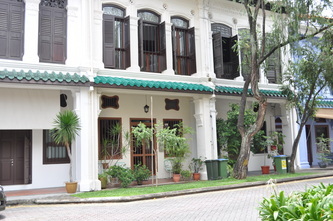 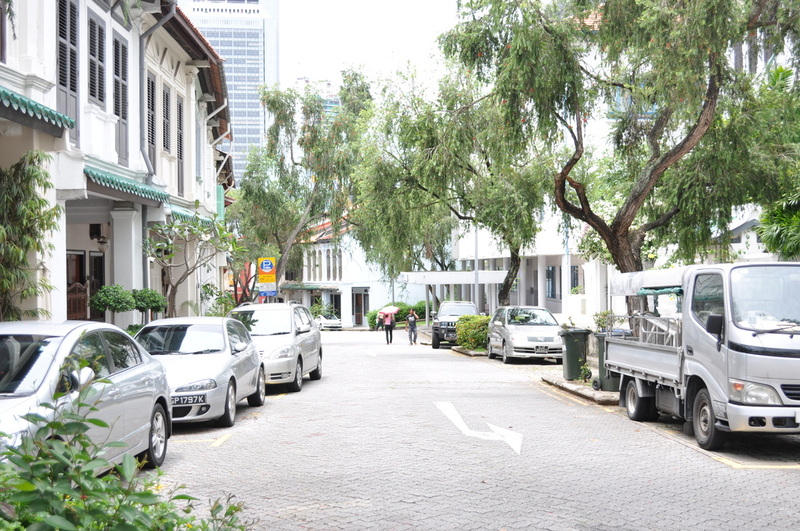 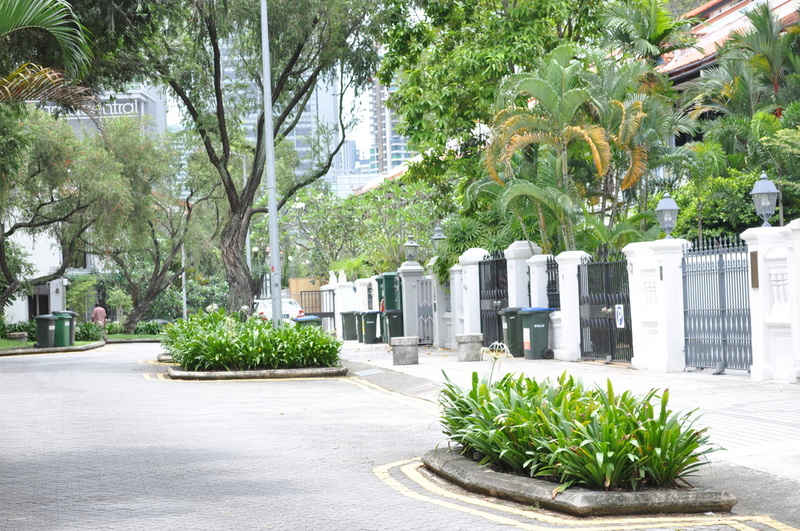 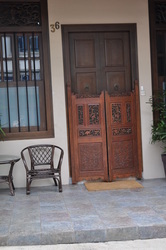 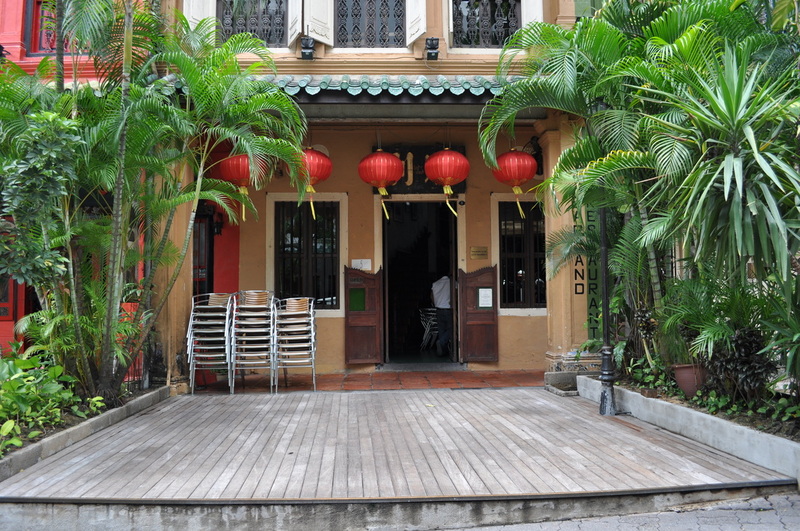 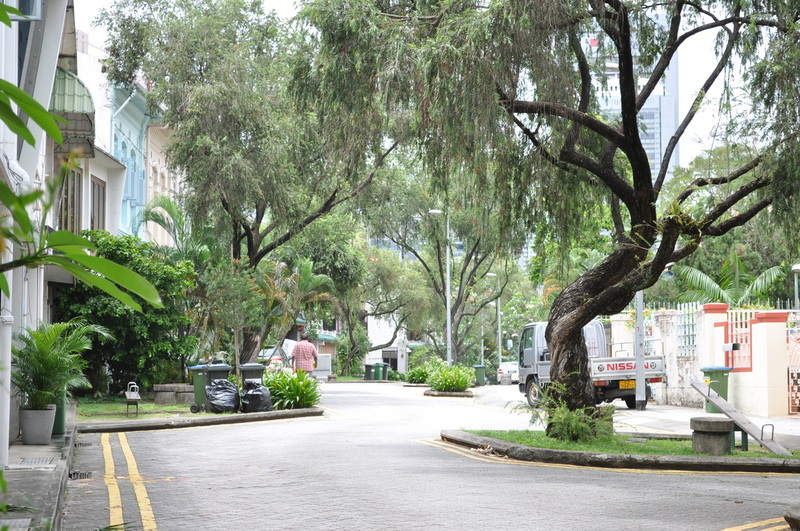 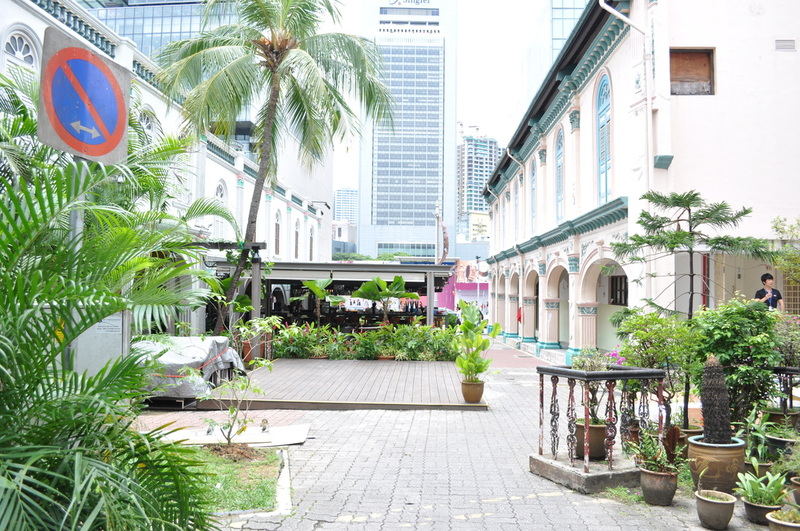 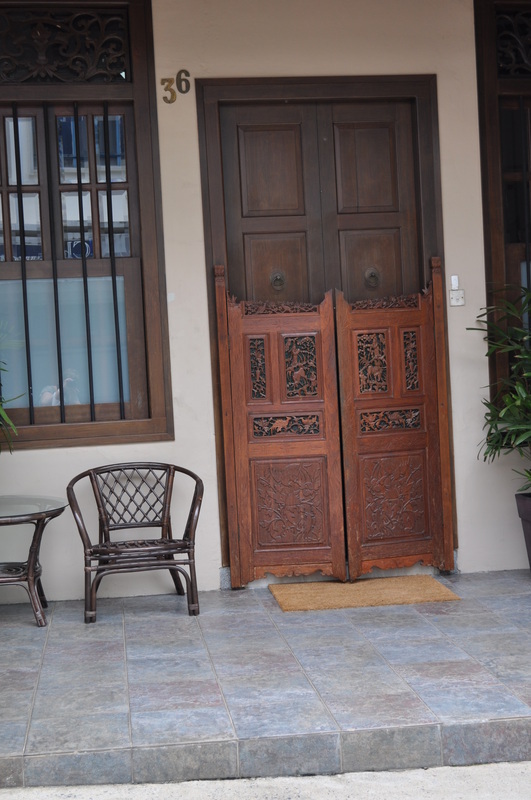 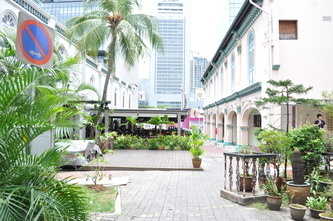 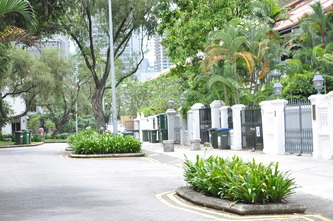 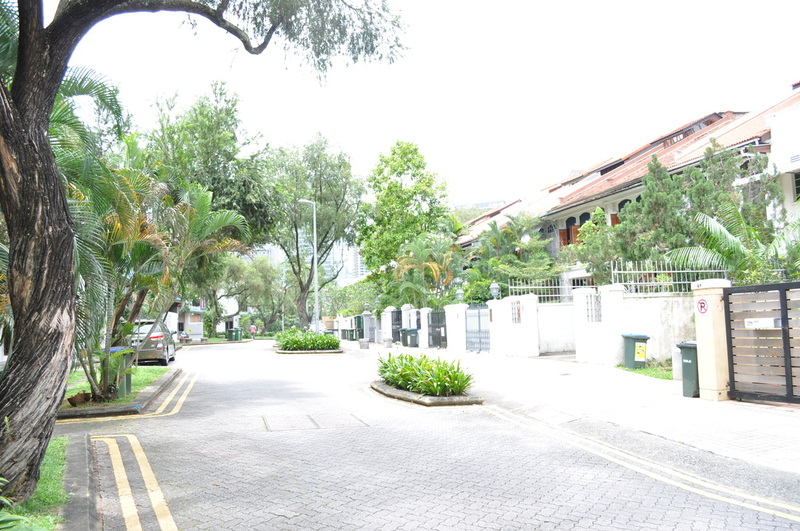 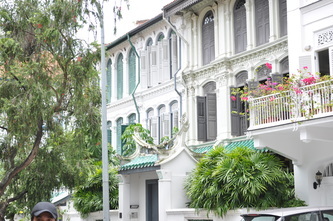 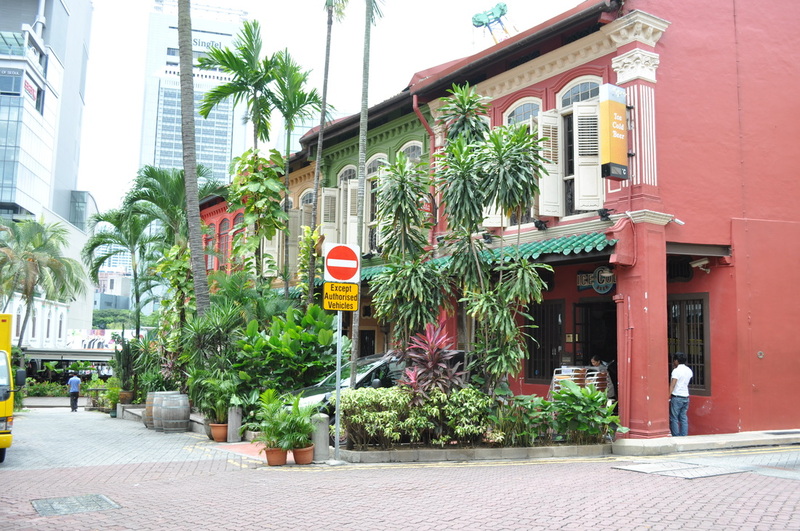 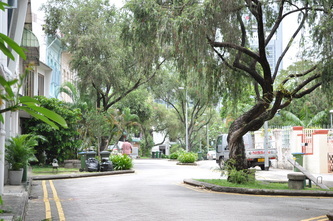 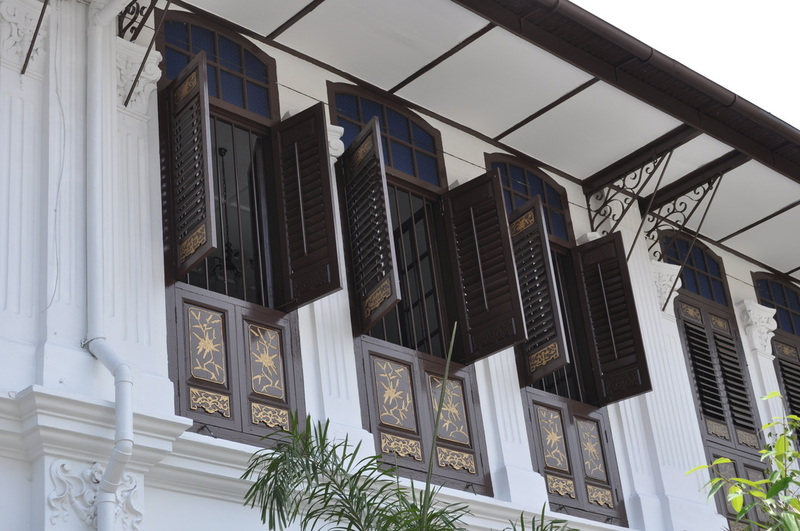 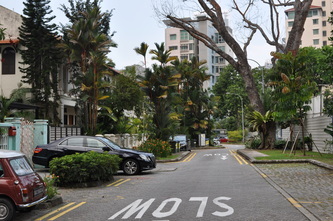 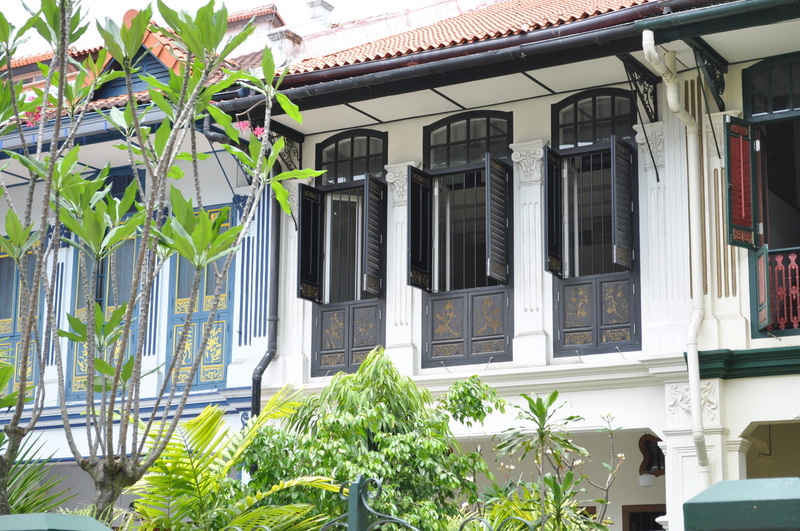 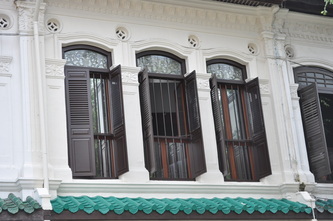 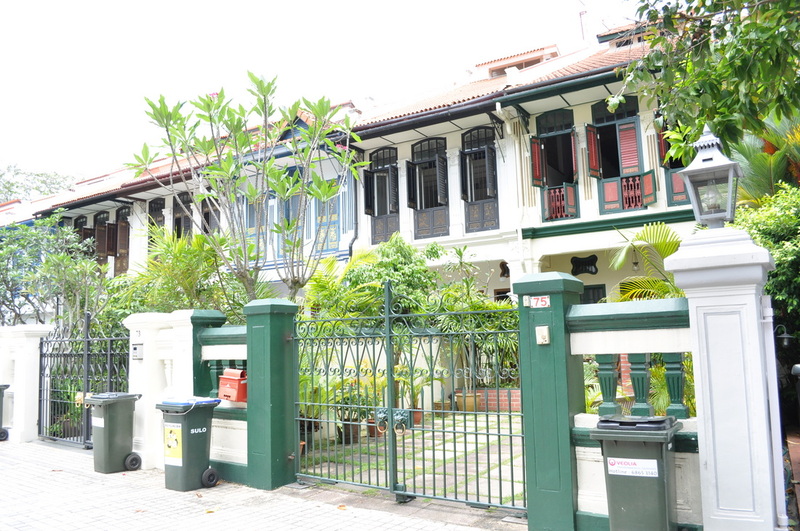 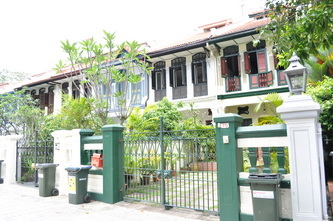 Emerald Hill is the historic road that we walk down most days to get to Orchard Road. This lovely quiet street is lined with fantastic Shophouses featuring Chinese Baroque Architecture. 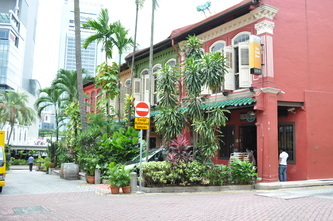 At at the bottom where it reaches Orchard Road are some great bars that are always packed in the evenings. 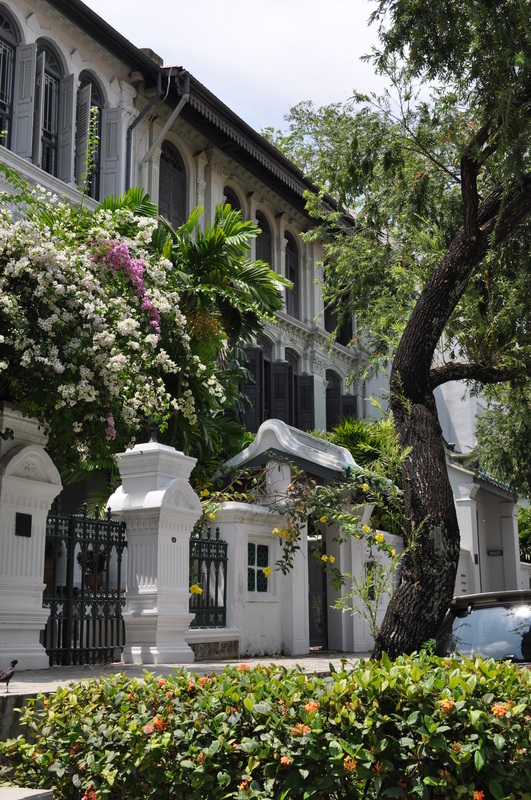 The Emerald Hill area was originally owned by William Cuppage, a postal clerk who rose to become the acting Postmaster General in the 1840s. Cuppage first leased Emerald Hill in 1837 and in 1845 secured a permanent grant for his nutmeg plantation, which failed in the 1860s because of disease. 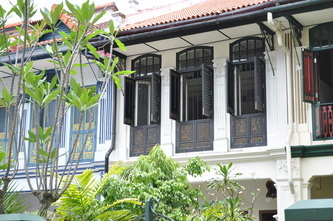 Cuppage himself moved from his residence in Hill Street to Emerald Hill in the early 1850s and lived in the area till his death in 1872. 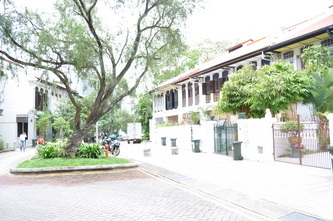 Here he built two houses (Erin Lodge and Fern Cottage) where he lived. 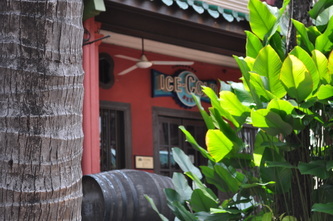 After his death, Cuppage's plantation was left to his daughters and in 1890 it was sold to one of his sons-in-law, the lawyer Edwin Koek. This cute, old Morris Mini Clubman parked on Emerald Hill brings back fond memories.